I went through the same pain of getting approval to purchase Typemock in my organization because of its cost. All methods of the fake will return fakes, and they in turn will return fakes, and so on. Which mean you can fake more than just public virtual methods. Imagine having a suite of unit test that cover your brilliantly written code. AreEqualresult. I use Moq mocking library in my tests for mocking purposes. To solve this elegantly, we use 2 statements the first will fake the static constructor, that is the place where the singleton creates the instance. So that you see a complete picture. I don't think any of these tools provide all of the features and functionality that Typemock offers, but they might meet your needs and pocketbook. Not all features available in Visual Basic. As far as I know, Moles does similar things to Isolator in terms of using the Profiler to mock those things, and it's free but not isolatoor source. You can fake statics, private, constructors, events, linq, ref args, live, future, static constructors. WillReturn new DateTime229. In that arbitrary method you can have a DataSet or, perhaps, a List of Entity Framework objects containing fixed values returned to the method under test. SmartRunner Come out of the stone age and run your tests incrementally. Written at only a fraction of the time. Calculate 12dependency. Sign up using Email and Password. Sign up or log in Sign up using Google. 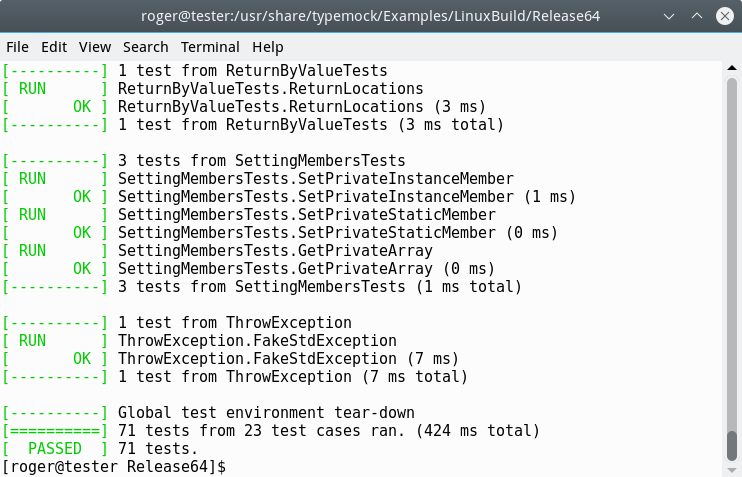 Easy to use with an extensive API that handles a variety of typical testing scenarios; several additional tools Cons: AreEqual 3result. I found the API syntax easy to use great Help system and the additional tools to be genuinely useful. There's some overhead associated with running a profiler like Isolator, but you can disable Typemock from a menu added to your Visual Ytpemock menu bar. Those fixed values allow you to run your test and be confident that, should the test fail, the problem is with the method and not with the Data Access Layer DAL that's been bypassed or the data currently in the database. Typemock Isolator dramatically reduces the time required to set up these mocked scenarios. I've been doing some research into Typemock for work, and am wishing I had it for a side project I'm working on. NET profiling API only for the advanced features making the unit tests run faster for the simplest scenarios. That said, the OP didn't give that level of detail so the downvote was probably unwarranted. Don't you have to pay for the Fakes framework, too? Also JustMock uses Dynamic Proxy approach for simple mocking scenario's like interfaces, virtual methods and uses. It's what a Mocking Framework should be: I recently came across JustMock which is developed by Telerik. You will need to set up a unit test project first.